Hi ladies and gents!!! I am extremely excited today because I get to do a GIVE AWAY of some of my favorite products! You guys and gals have seen the pictures I've posted of my hair journey but I've never told you about the products that help me get there. 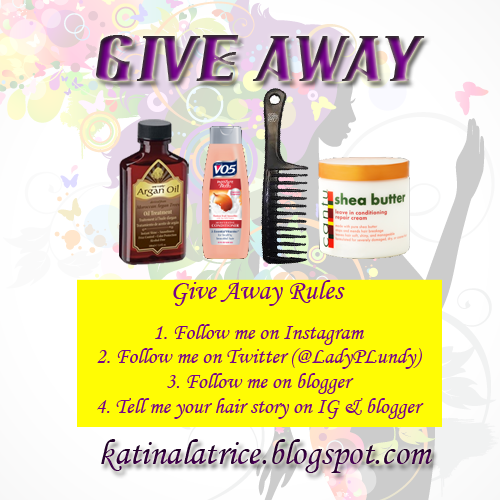 PLEASE NOTE: The giveaway includes 3 of my favorite products. These are also covered in depth in my ebook.